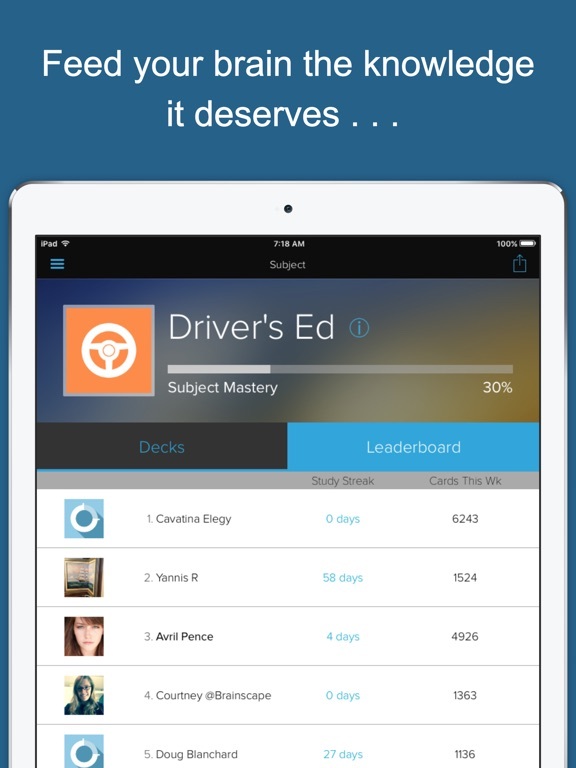 Pass that driver’s test painlessly! Throw away the booklet. 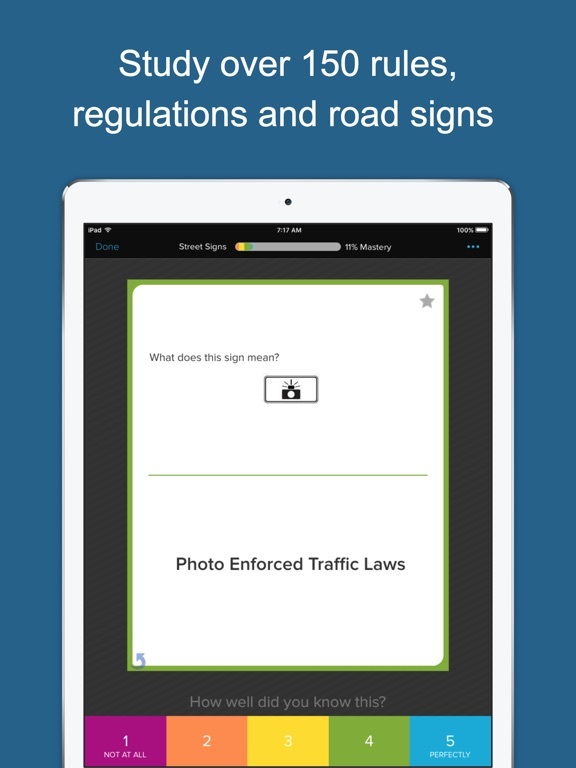 Blow through your rules, regulations, & street signs faster than ever. Or maybe you just want to be a better driver (or sound like one)! 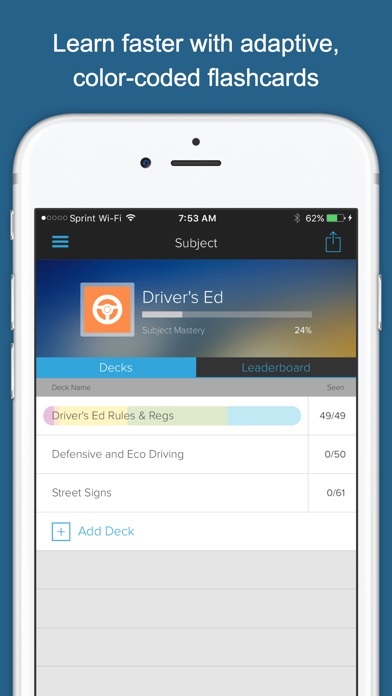 Street Smart, with great situations, visuals, and sounds provided by our partners at Start Out Right, now helps you efficiently whip through Driver’s Ed, applying the latest in cognitive science as with all Brainscape apps. 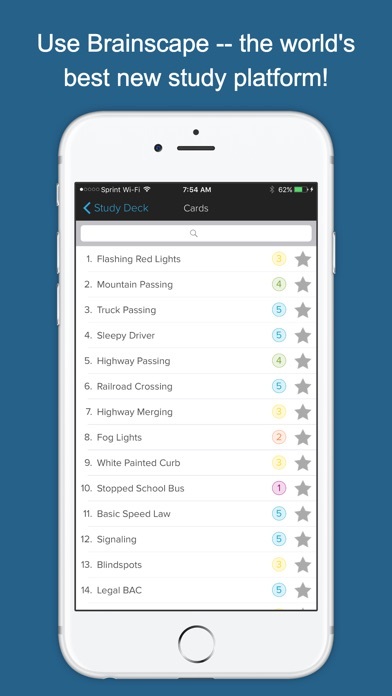 • Almost 200 flashcards covering the most common concepts tested on Driver’s Ed tests across the country. • Info on defensive driving, road safety, street signs, as well as the most important rules and regulations. As with all Brainscape apps, you can expect frequent updates, with new cards and multimedia from our friends at Start Out Right. With real-life situations, colorful images, and fun sound effects in Brainscape, you will actually learn and remember what to do on icy streets, how to drive safely around big trucks on the highway, how to save fuel, and so on. The Brainscape team is made up of former executives from The Princeton Review and Kaplan, as well as cognitive scientists formerly with Columbia and Yale. Our mission is to make learning easier and more convenient. 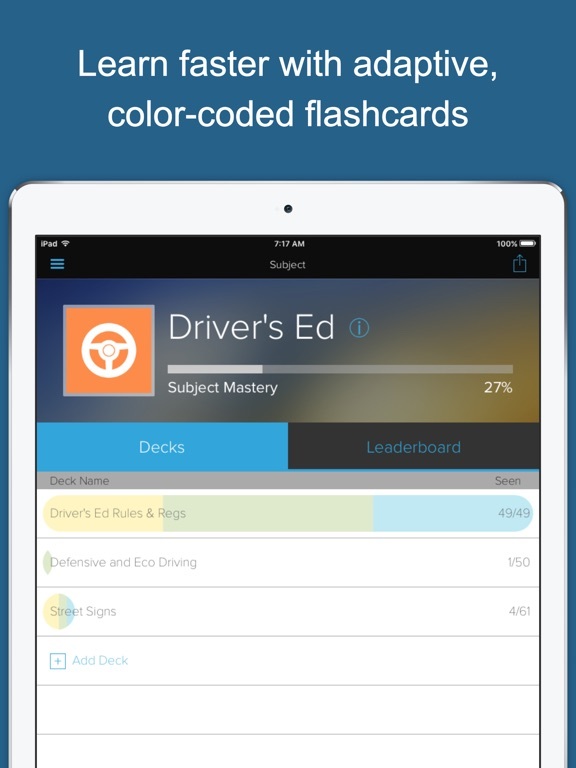 Rather than creating frivolous games or distracting quizzes to try to make learning “fun,” Brainscape provides a scientifically optimized algorithm to repeat flashcards in just the right pattern for your brain’s maximum absorption, based on YOUR confidence. 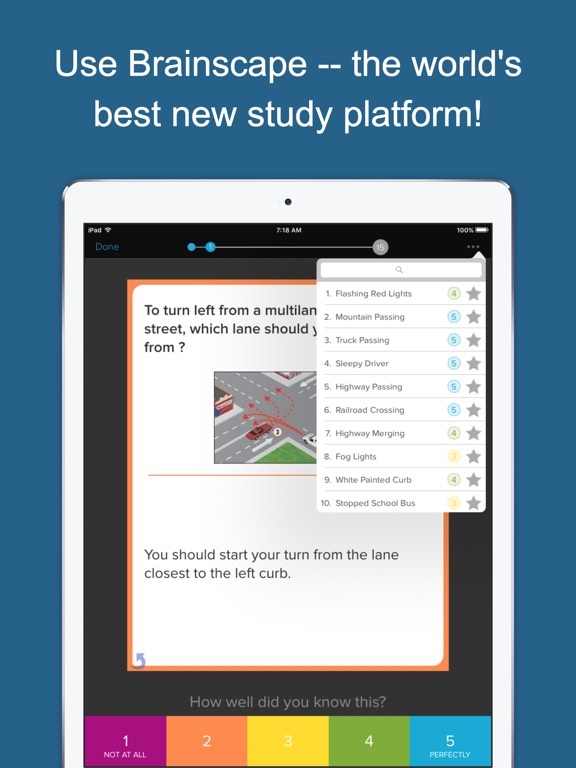 Brainscape makes sure that your study time is used as efficiently as possible, because – let’s face it – you are busy! 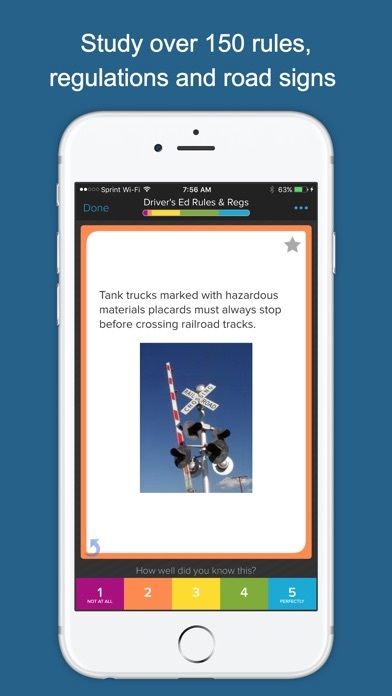 For this application, Brainscape partnered with Start Out Right, a driver training and education firm based in Orange County, California. 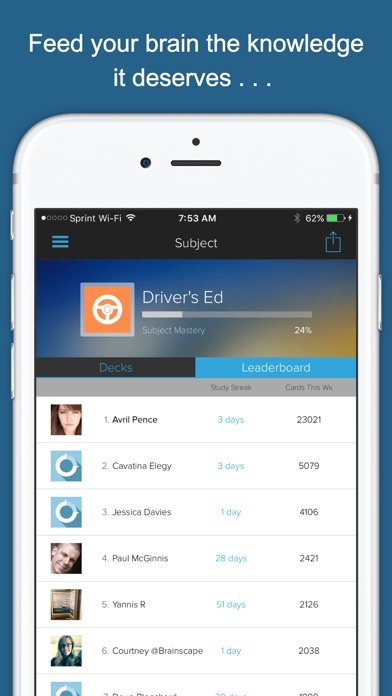 The company has created a curriculum that includes the only online driver education program based on true CBT (Computer Based Training). Used by the military for many years, CBT harnesses the power of the Internet, full visuals, audio, and simulation to bring the highest level of driver training to our newest and most vulnerable driving population, teenage drivers. Through repetition and training, new drivers are able to learn how to handle dangerous situations on the street quickly and effectively. We’re psyched they collaborated with Brainscape to bring their advice to iTunes. Welcome to Brainscape, and good luck!